How will Shanghai look in 100 years from now? The great Chinese metropolis will be to most likely submerged by the waters and swallowed by rising sea levels, if humanity won’t be able to reverse drastically over the planet’s warming. 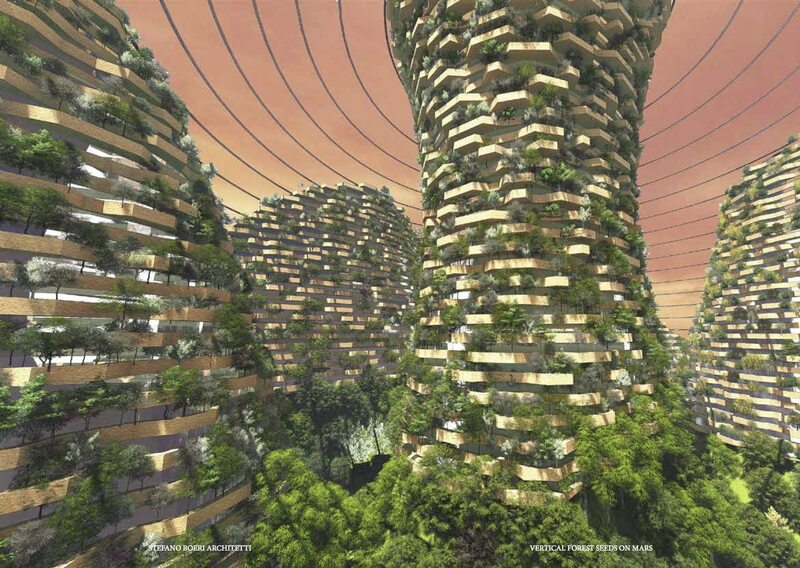 In response, SBA China with Tongji University’s Future City Lab imagines a colony of Vertical Forests on the Red Planet. Seeds on Mars is the “New Shanghai” that could be born thanks to the rooting on Mars’s surface of real “eco-systemic seeds” (which would travel through an interplanetary space station) within which to create an atmosphere and a favorable climate for plants and human life.